Dhahran — When Saudi Aramco says we will make a positive impact on the communities where we operate, the company puts these commitments into action. For evidence of this commitment, take a look at some of the projects completed or in progress, carried out by the Community and Public Projects Department (C&PPD). Currently, this one department is managing 31 projects that tangibly demonstrate Saudi Aramco’s corporate value of Citizenship, and that actively contribute toward the social and economic development of the Kingdom. Comprising everything from research centers and housing projects to highways and mangrove eco-parks, these projects have a powerful impact in improving the quality of life not only for our employees but also for the communities where we live. Saudi Aramco’s Community and Public Projects Department is currently managing more than 30 projects that tangibly demonstrate Saudi Aramco’s corporate value of Citizenship and contribute to the social and economic development of communities, and the Kingdom as a whole. 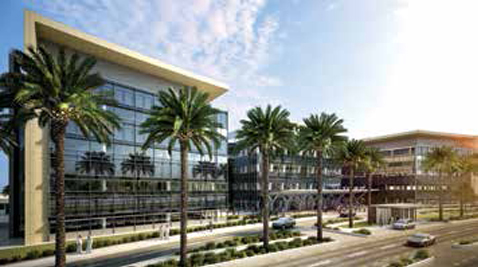 The projects vary in range and include major housing projects for employees, research facilities, community enhancements and infrastructure, as well as environmental issues such as developing eco-parks, promoting awareness of mangrove habitats, and creating sanctuaries to foster the resurrection of endangered species. The King Abdullah Petroleum Studies and Research Center (KAPSARC) was completed on Aug. 31, 2017. The project was named the Global Best Project in the Education/Research category as part of Engineering News-Record’s sixth annual Global Best Projects competition. The new EXPEC Advanced Research Center facilities in Dhahran will feature top-notch 56,000 m2 of laboratories housing 307 labs and 850 offices in an inverted U-shaped building that will allow Saudi Aramco to venture into new research domains in the hydrocarbon chain. In Dhahran, a major addition is changing the shape of the community. An additional 1,557 housing units comprising 886 family villas with three, four, and five bedrooms, as well as 671 apartment units consisting of 312 family and 359 bachelor units, will be provided by the first quarter of 2019. The King Abdullah Petroleum Studies and Research Center was completed on Aug. 31, 2017. The project was named the Global Best Project in the Education/Research category as part of Engineering News-Record’s sixth annual Global Best Projects competition. The Dhahran Residential Community Expansion Program completed the construction of 1,494 units comprising 823 villas and 671 apartments. This project will eventually construct a total of 1,557 units, 886 villas, and 671 apartment units. style="margin-bottom:20px;"Handed over 764 residential lots to the proponent/owners under the Home Ownership Development Project in EastDammam II. Owners have already started constructing their houses on these lots. Completion of Admin Building and maintenance shop at Ras Tanura Terminal. For many, the most obvious impact of C&PPD over the past few years has been in the rapid expansion of community facilities and home ownership programs — all across the country. Many of these new community facilities have been built in existing communities, putting extra challenges on project managers and construction staff to avoid undue impact on the surrounding residents and communities. 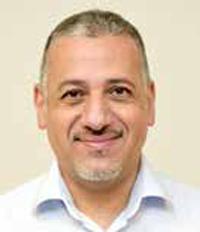 Nowhere is this more true than in the expansion of the Dhahran community, where an additional 1,557 housing units comprised of 886 family villas with three, four, and five bedrooms, as well as 671 apartment units consisting of 312 family and 359 bachelor units will be provided in the first quarter of 2019. This significant achievement has enabled the relinquishment of the last rented compound in al-Khobar and all other company housings around the Dhahran/al-Khobar area. The project provides the benefit of not only avoiding cost, but also enhancing safety and cutting down travel time to and from the Core Area for all those employees who were living outside of Dhahran. Additional community support facilities, including a mosque, a community center, and recreational facilities are expected to be completed by June 2020. 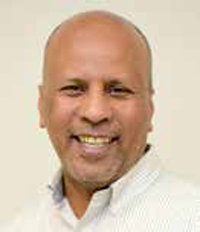 Towfiq A. Al-Abdulhadi, senior project manager for the Dhahran community expansion project, said that one of the greatest challenges was to build the Dhahran increment without seriously impacting the existing community. To limit that impact, the Saudi Aramco Project Management Team built an access road for building contractors and supply trucks, with their own security system to control access. To speed up the process of construction, C&PPD decided to build with pre-cast concrete. In Jubail, the Saudi Aramco Home Ownership Program will develop 862 lots — 833 of them for residential housing for eligible employees. Phase I will include the construction of 491 housing units of 420 to 530 square meters (m2), and Phase II will include the construction of 342 units of 350 to 531 m2. The new community will be close to a future business center, with support facilities — including boys and girls schools, commercial centers, a library, fire and police stations, sports facilities, petrol stations, a clinic, and a hospital. The new Saudi Aramco Home Ownership Program is located on an area of 199 hectares at the Al-Mutrafiah District of the Jubail Royal Commission. It includes a total of 862 lots, out of which 833 residential lots have been used to construct various housing models for future selection by eligible employees working in the Northern Area, including Khursaniyah, Berri, and Jubail. In Ras Tanura and ‘Udhailiyah, a project was also completed to expand the community by building 80 residential houses in Ras Tanura and 70 in ‘Udhailiyah. The expansion targets Saudi Aramco employees working in Ras Tanura and ‘Udhailiyah, but living in local or other company communities farther away from their workplaces. All houses are standard two-story structures, with a total built-up area of 372 m2 with associated utility systems, roads, pathways, public lighting, and landscaping. 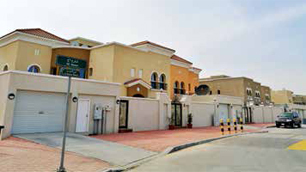 In Dammam, two different projects were undertaken to provide eligible employees with homes. In East Dammam I, 228 villas were ready-built on seven different models, with two separate parks, three mosques, a supermarket, two schools (for boys and girls), a water booster and sewer lift stations, upgraded streets, with all infrastructure and utilities provided. The project was completed in September 2017. In East Dammam II, in a 152-hectare area next to the Dammam Office Building, the company is providing 764 residential lots to eligible employees. 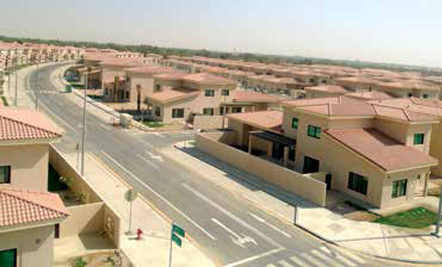 Under this project, employees can build their own homes, while Saudi Aramco provides for the development of site infrastructure, including 49 additional lots for 17 future apartment buildings, as well as support facilities, including 11 gardens, two schools, nine mosques, three commercial zones, two medical facilities, five utilities lots, and an electrical substation. The Central Area isn’t the only focus when it comes to major housing projects. Additionally, 80 new residential houses have been provided in Ras Tanura and 70 new residential houses in ‘Udhailiyah for Saudi Aramco employees who had been living in other company camps away from their workplaces. All houses are standard two-story structures with a total built-up area of 372 m2. In East Dammam I, the company has built 228 villas on seven different models, with two separate parks, three mosques, a supermarket, two schools (for boys and girls), a water booster and sewer lift stations, upgraded streets, and all infrastructure and utilities provided. The project was completed in September 2017. In Yanbu’, Saudi Aramco has two housing projects in process — one for bachelor housing, and one for home ownership for eligible employees. For bachelors, C&PPD will construct four 147 furnished housing units in four residential buildings, with a future provision for a fifth building, to accommodate bachelor employees in Yanbu’ to replace current leased facilities from the Yanbu’ Royal Commission. For families, C&PPD is constructing 273 houses. The homes will be three and four bedrooms, with the option of expanding to five bedrooms. These homes will help in part to meet the high demand for housing in Yanbu’. 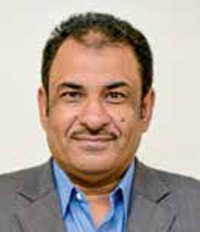 “The benefit of the Yanbu’ project is that it improves the quality of life for employees — both for families in the home ownership program and for bachelors who had been renting apartments in Yanbu’,” said Al Agala. Even when the company invests in its own operations, such as office buildings and facilities, it leverages its purchases and contracts to strengthen the Saudi economy and to have a positive impact on the communities where we work and live. To construct a top-notch 56,000 m2 laboratories building for the EXPEC Advanced Research Center (EXPEC ARC) in Dhahran, for example, C&PPD faced the challenge of preparing a brownfield site for a brand new facility, managing 160 unknown utilities, trucking in and assembling 38,411 m3 of concrete, 5,200 tons of reinforcement bars, and 682 tons of structural steel — in the heart of the Core Area, just a few hundred meters from the company’s headquarters. 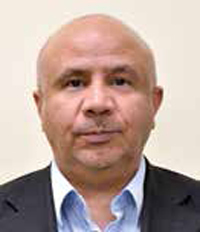 The company is reaping the benefit of the prime location that connects the Core Area to the new EXPEC ARC through a tunnel underneath HE Ali Al-Naimi Street, but the benefit of all this hard work will be worth it, said Nayif M. Al-Qahtani, project manager for the new EXPEC ARC undertaking. To provide employees in Dhahran with access to crucial government services, such as issuing passports, licenses, notary documents, and traffic related documents, Saudi Aramco has provided a new 1,848 m2 furnished permanent office for the Corporate Affairs Government Services Complex at Gate 40. This complex replaces the existing portable buildings. To help maintain reliability and meet a projected increase in corporate computing demands over the next few years, C&PPD has also launched a project to increase the power capacity of the Corporate Data Center from 2.4 to 6.3 megawatts. The project will allow the data center to sustain operations and business continuity during power blackouts and other interruptions, providing a wide range of communication services and advancing capabilities to process, store, and access data. Saudi Aramco’s commitment to corporate citizenship extends far beyond the gates of our facilities and the communities where employees work and live. Where the company can make a positive impact in improving community infrastructure, environmental protection, and quality of life for the broader Saudi population, we put our best people and our resources to work. Consider the two cloverleaf interchanges along the Haradh and Hawiyah roadways. C&PPD took on a project to provide a 10-kilometer long, four-lane access road connecting the projected Hawiyah cloverleaf interchange to the proposed Haradh cloverleaf interchange, and a 2-kilometer four-lane road to connect the proposed Haradh cloverleaf interchange with the existing ‘Udhailiyah camp access road. 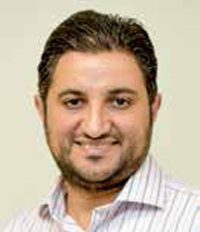 When completed, it will enhance the safety of the existing roads and will meet the expected growth in business traffic in the area, said Abdulrahim M. Al-Anwah, project manager for the Haradh and Hawiyah highway projects, as well as the al-Hasa community center project. In al-Hasa, Saudi Aramco built and inaugurated a new community center in the Mahasen district. The 150,000 m2 facility provides recreational facilities to Saudi Aramco employees and their dependents residing in al-Hasa, including an adult soccer field with running tracks and spectator seating, a children’s soccer field, a volleyball court, two swimming pools for women and men, male and female gymnasiums, a multipurpose function hall, a bowling alley, and 70 shaded outdoor seating areas with barbecue grills. In Riyadh, The Custodian of the Two Holy Mosques, King Salman ibn ‘Abd Al-‘Aziz Al Sa’ud, inaugurated an iconic building that services the fairgrounds for the world famous al-Janadriyah Festival. The building was initiated by Saudi Aramco on behalf of the Ministry of Energy, Industry, and Mineral Resources, and educates the public on how the hydrocarbon industry helps to advance the social and economic development of the Kingdom. To highlight the company’s commitment to protecting the environment in the Kingdom, Saudi Aramco has recently built two facilities that protect natural habitats and educate the general public on the importance of environmental stewardship. In Shaybah, near the company’s massive Shaybah Producing and Shaybah NGL complexes, the C&PPD has constructed a 637 m2 fenced sanctuary to support the reintroduction of large mammals and birds into the deserts of the Rub’ al-Khali, including the Arabian oryx, sand gazelle, and the North African ostrich — all of which were once native to this region. The benefit of the project, which is scheduled for completion in May 2020, will be to showcase the beauty and majesty of the Rub’ al-Khali desert ecosystem, creating a biodiversity jewel for the Kingdom, its citizens, foreign visitors, and future generations. In Ras Tanura’s Rahima area, C&PPD will develop a 62 km2 Mangrove Eco-Park to protect some of the last mangrove standing forests at Rahima, and raise public awareness about the importance of mangrove habitats. The eco-park consists of a research and educational center building for scientists and environmentalists, internal access roads, a bird aviary, a mangrove nursery, and an elevated boardwalk for visitors to explore mangrove vegetation and associated facilities. The project is expected to be completed in April 2019. Taken together, these projects show the depth of Saudi Aramco’s commitment to the Kingdom, and to its promise of good corporate citizenship. In Shaybah, near the company’s massive Shaybah Producing and Shaybah NGL complexes, the Community and Public Projects Department has constructed a 637 m2 fenced sanctuary to support the reintroduction of large mammals and birds into the deserts of the Rub’ al-Khali, including the Arabian oryx, sand gazelle, and the North African ostrich — all of which were once native to this region.